"We cannot choose the circumstances that happen to us, but we can choose to be happy whatever the situation is." 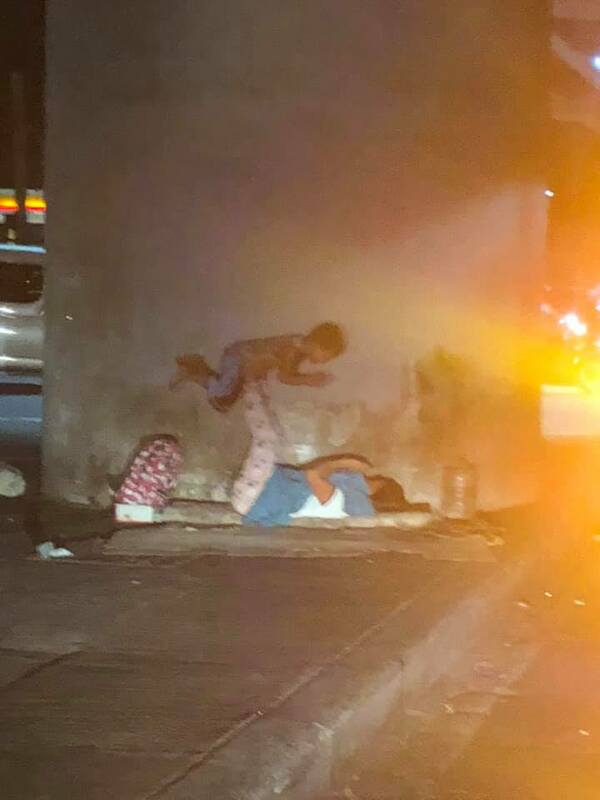 In a Facebook post, Ameniel Del Mundo﻿ wrote that he had come across a woman, who appeared to be homeless, entertaining her son while they laid on a mattress on a traffic island. The post garnered over 21,000 shares at the time of writing. "Amidst poverty and without any material things, the mother and her son remained happy and content and could be seen playing around," he wrote. "The two were playing happily at the island while I was grumbling about my situation inside the car," the man told INQUIRER.net. "We cannot choose the circumstances that happen to us, but we can choose to be happy whatever the situation is. That is why happiness is always a choice," the man wrote in another Facebook post. 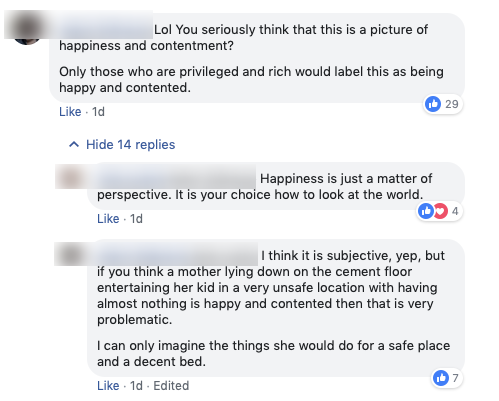 However, several Facebook users pointed out that the family's unfortunate situation and dangerous living conditions should not be romanticised. 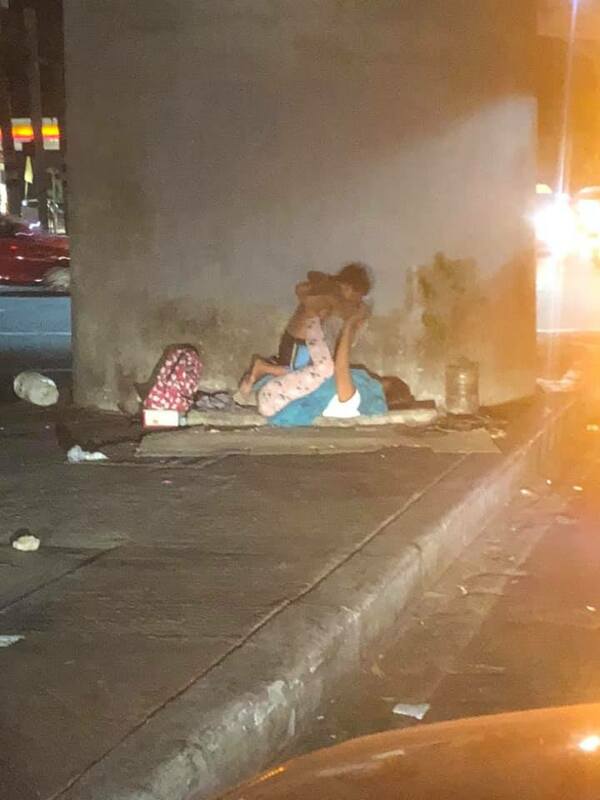 "Only those who are privileged and rich would label this as being happy and contented," one netizen commented. "For those who wanted to help, we are still looking for them since yesterday, as we can't find the family," he wrote in an edit to the original Facebook post on 11 April. "Will update as soon as we find them," he added. "If you are having a bad day, my ears are all yours." "At that time, my emotions were out of control and I did not know I had done it," he told police.